It seems to be in the nature of things that people buy a vacation home and then after a few years decide to sell it. Aging snowbirds may start to find the trip too arduous; others want to explore new places or decide they want a bigger or smaller house. Some people just need the money. There are no figures for this, but most of the Americans and Canadians I knew when I moved to Puerto in 2005, have since then sold their houses or condos. But at the same time there have been even more newcomers and a lot more vacation homes have been built. 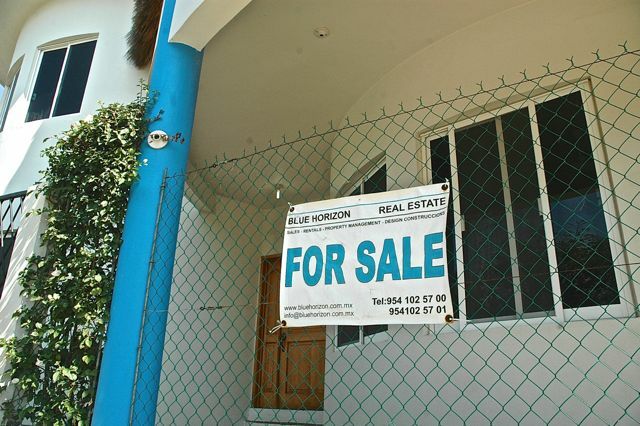 The last Puerto Escondido housing boom was between 2002 and 2007, according to Martina Rotter of Blue Horizon Real Estate. During that period, she says, there was a five-fold increase in property values in Bacocho and Rinconada. Prices stabilized, however, following the 2008 crash. In 2007, it was possible to buy a lot in Bacocho for around 1,000 pesos a square meter, today the typical asking price is 2,400 a square meter. Mexico does not have licensed real estate brokers, so anyone can hang up a shingle. 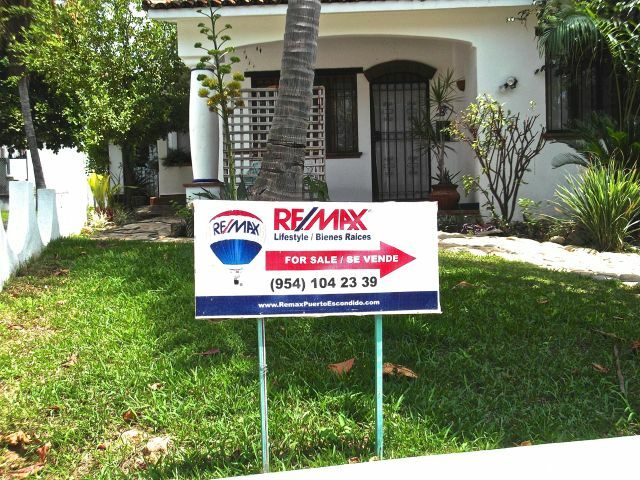 But an experienced realtor can help buyers and sellers navigate the Mexican home buying system. This is especially true in Puerto where some properties have titles (escrituras) and others are on communal land and have actas de posesión. Plus some cliff side and ocean front properties may also require additional permits if they are in the Federal Zone. A good realtor knows the market and can help the seller set a price. She can also advise the buyer on zoning regulations, taxes, and, sometimes, the history of the property. Selling a property is easier if the house or condo looks good. A fresh coat of paint or a new palapa might bring in a sale; at the very least the place should be clean and tidy and smell good. Dog hairs on the furniture are not attractive. Broken windows and mirrors are also turn-offs. Do not expect a buyer to want to keep your household staff, so make sure you have no outstanding debts or obligations to them. But you do want to keep your place maintained in your absence; it’s hard to sell a home that’s full of grime and mold and infested with insects. That’s why people rely on property managers. Smart buyers know that they will save a lot of money when they sell their property, if the declared purchase price is the same as the real price. The capital gains tax (ISR) for second homes is 32% for Mexican sellers and 35% for non-Mexicans. Nobody likes to be taxed for a paper profit generated by a phony purchase price. Foreigners who have temporary or permanent residency also have the option of paying a 25% tax on the total sale price, instead of paying the 35% tax on capital gains. Condos, once rare in Puerto, have become increasingly popular, especially as a source of rental income. Fortunately, under international trade laws, the income taxes you pay in Mexico are deductible from the income tax you pay in your home country. Generally speaking, however, it’s easier to sell or rent a house than an apartment. Most property sales in Mexico begin with a legally binding buy/ sell agreement drawn up by a lawyer or notary. This is typically a two-page document that states the buyers and seller’s name, address, marital status, passport or voter identification number etc. It also indicates the exact location and size of the property as it appears on the deed, as well as the agreed upon purchase price, in pesos. Since there are no escrow accounts in Mexico, the deposit paid at the time of the buy/sell agreement may sometimes be in the form of a cashier’s check held by a lawyer or realtor. The buy/sell agreement includes the date by which the sale must go through. It takes a few weeks for the seller to get the required certificate of non-encumbrance from the deed office and for back taxes, if any, to be paid. If the seller does not present the required paper work to the notary by the specified date, he is required to return the deposit. At closing, the buyer must pay a 3% transfer tax on the sale property or its assessed value, which ever is higher, and the notary’s public registry’s fees, and the seller pays the capital gains tax. If there is a fideicomiso, those fees are also paid by the buyer at closing. The procedure is different if the property is on communal land, as is the case with all properties Santa María Colotepec and many parts of San Pedro Mixtepec including Chila and Palmarito. Having all the paper work in order when you buy a property makes all the difference when the time comes that you or your heirs want to sell.